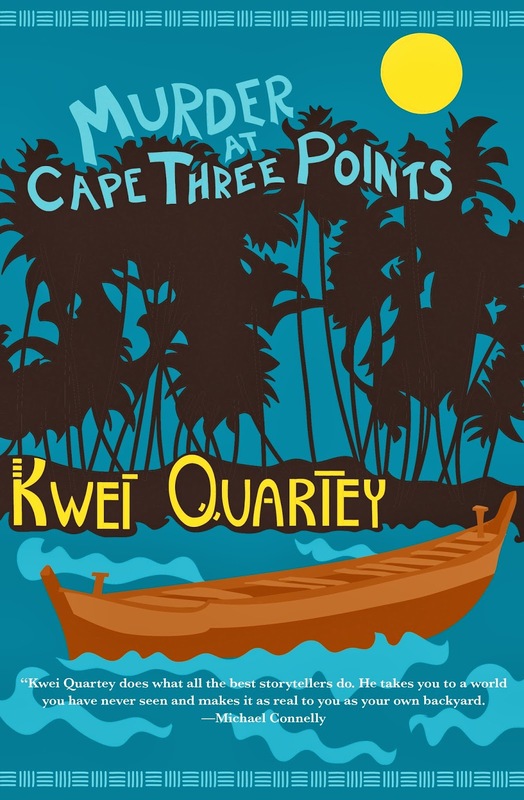 Third in a Ghanaian mystery series featuring Inspector Darko Dawson (I enjoyed the first but have not read the second, since I thought this was it), Murder at Cape Three Points tackles the environmental and economic impact of foreign oil interests on Ghana. I appreciated learning more about this precarious balance (though maybe it's not really in balance), especially as I didn't really know there was oil drilling in Ghana. Quartey shows the positives (big new resorts giving an economic boost to the region!) and negative (some serious conflicts of interest). But Inspector Dawson is still hard to know, and his family is once again mostly in the background. I would prefer more development on that front as the mystery series continues; why create so many great characters and then not give them any air time? If Dawson's fantastic wife Christine doesn't get some spotlight in the next book, I won't be continuing on with this series. Moving from Ghana to Zimbabwe, NoViolet Bulawayo's We Need New Names had been on my library "For Later" shelf for quite a while before the cover and the story finally captured my attention enough to get it on audiobook. I was completely engaged at the beginning; I loved Darling's voice and the way Bulawayo shared so much about Zimbabwe by using a child narrator. She packed a lot of information and emotion into the story; for a first novel, this is really impressive. In the second half, Darling moves to the US. Again, I think the author did amazing work bringing everything to life: the difficulty of being an immigrant, the expectations of your family back home vs reality, the things that set you apart and help you fit in. It all rang very true. That said, I've read a lot of immigration stories in my life, and the structure of this one was pretty much the same as all the rest of them. The writing is beautiful and evocative, but I don't think Bulawayo did much to break down any tropes. That said, I am pretty excited about whatever she writes next. I've been eagerly anticipating the second book in the Ms. Marvel comic series. Generation Why doesn't disappoint. We see Kamala further develop and understand her superpowers, and she gets more involved in the overall Marvel universe of characters by finding a pretty awesome mentor. Savvy move by Marvel because now I feel like I should go and read more of the comics in the Marvel universe so I understand all these connections and backstories. BUT WHERE TO START?! 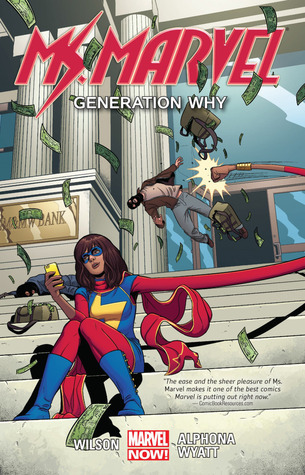 I thought this book got a little preachy about how awesome the Millennial/Centennial generation is (though this didn't really surprise me, as G. Willow Wilson has a tendency to be preachy in her other books, too), but I could see that really appealing to teens, and hey, I believe in empowerment. Such a fun series, populated with great characters I can't wait to get to know better. I was pretty pumped to hear that Thomas King had a new book out, and snatched it up from the library as soon as I could. The Truth About Stories is an essay collection about story-telling and how the stories we choose to tell and believe can shape our lives and perceptions. There are many, many stories written about Native Americans. Native Americans, for the most part, are only now starting to add their voices so that their stories can be heard, too. I really enjoyed these essays. King talks about oral storytelling vs written storytelling. A lot of American cultures thrived on oral storytelling so that they could control the story. But European culture focuses on written storytelling, and now they've come to dominate so many narratives that they don't really have a right to. He talks about how most Native American and First Nation authors refuse to write history; they write contemporary literature. This is something I've definitely noticed myself, and I was interested in his explanation - basically, that they don't want to touch the stereotype that exists in people's minds about Native Americans from long ago. They want to assert their right to the present, and show that they have a place now. A very thought-provoking and well-written read. Also very short and full of reading suggestions, if you want them! Oh, you should - she's a lot of fun. I recently put The Truth About Stories on my wish list, so I'm glad to hear it's worth the time. I didn't know that there was an old edition of The Truth About Stories, actually. Maybe I just heard about the book more recently and I thought it was new but it's not? As for King and the Feminist Badgers, it isn't really a book about feminism, so maybe not? But it is a book about marginalized people, so maybe yes? hahaha that is the identical thought process I went through too. "now I feel like I should go and read more of the comics in the Marvel universe so I understand all these connections and backstories." CAPTAIN MARVEL! She's seriously amazing. The Truth About Stories is so great. I need to read everything King has written. Such good reviews. I'm quite interested in the Ghana book and I think I'd feel the same. I hope to try the first in the series. I don't know if you have read any of Heather Lende's nonfiction - she writes a lot about the Tlingit people in Alaska. Very interesting. I haven't heard of Heather Lende, but I'll look into her now! That sounds frustrating, reading good characters that aren't developed; I can understand your reasoning behind a potential abandoning of Quartey very much. The Marvel reading as though it's to appeal to teens makes a lot of sense. Yes, I want more depth and am not getting it! We'll see if I pick up another in the series.